Neck, Shoulder, Waist intensive care Massager to cool rejuvenate the body. Hand Acupressure way rotating rollers way. I want that cool massager massage the area. Compact and ergonomic design. 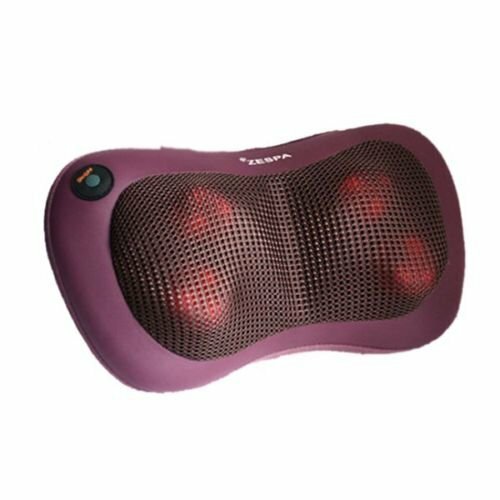 Ergonomic Massager small size does not take up space. Warmer Massage. The massage helps further increase fitted with heating function. 4 rotating pressure roller. Innovative rotating Shiatsu massage roller way the Muscles of the neck tension is high, the feeling like hand massage the shoulder of the receiving intensive Massager. 4 Point Roller for 2-way massaging. Small, but very powerful porable massager. Led warning system on almost any seat with fiexible fixing belt in the back. Much lesser noise than other massager. If you have any questions about this product by ZESPA, contact us by completing and submitting the form below. If you are looking for a specif part number, please include it with your message.